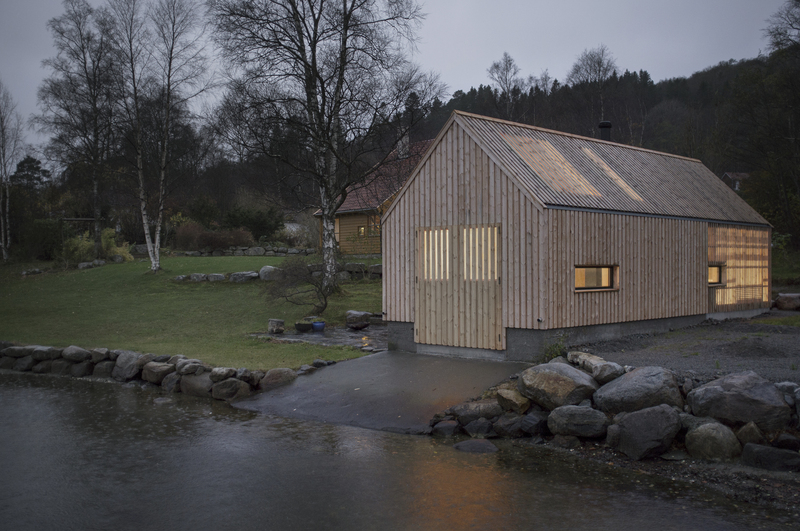 Naust V is a collaboration between Kolab Architects and Koreo Architects. 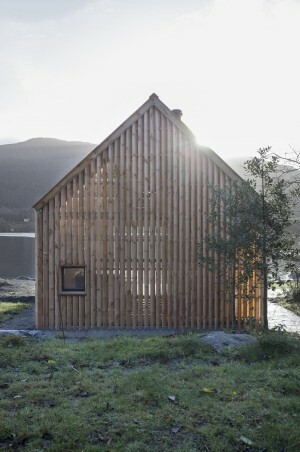 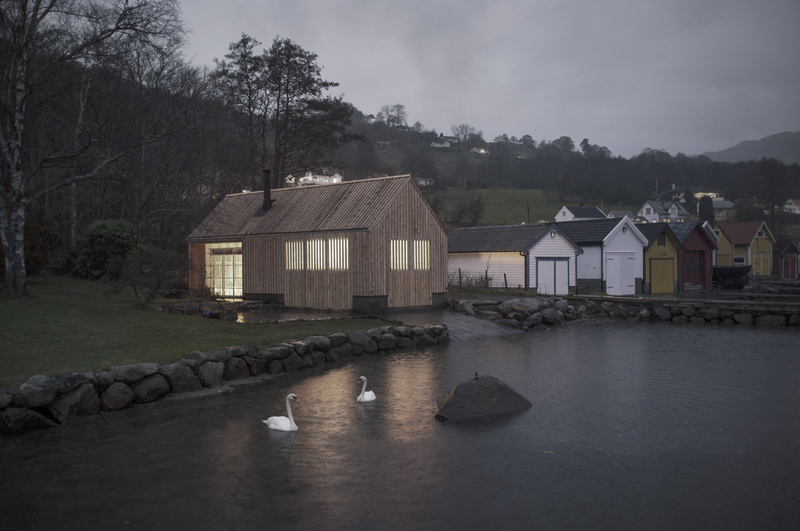 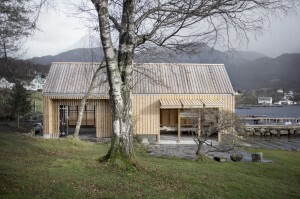 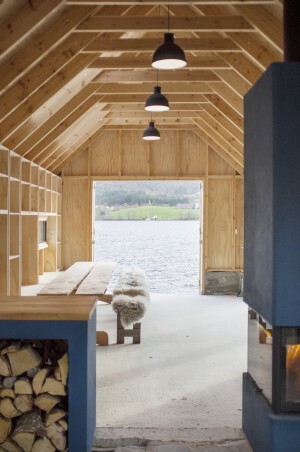 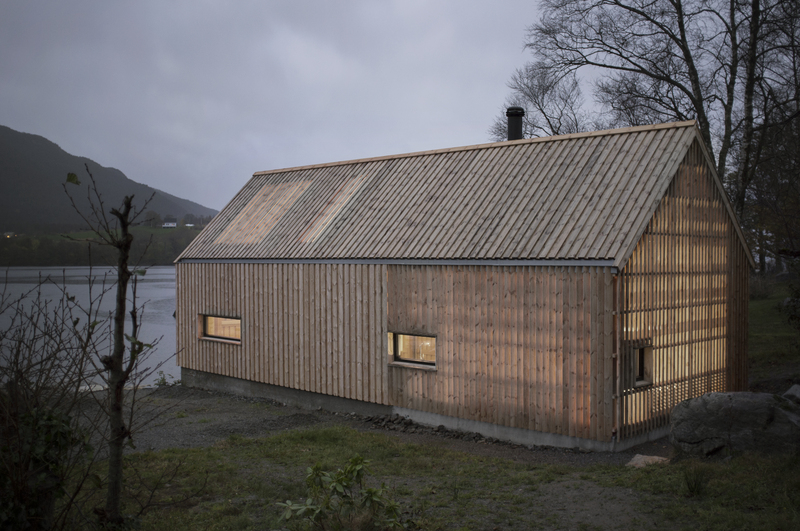 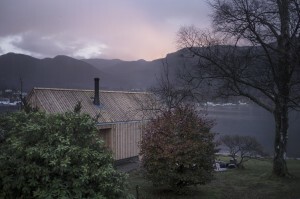 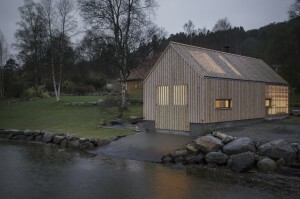 The project is a transformation of an old boat house in Vikebygd, a small village on the Norwegian west coast. A boat house, (in Norwegian «naust»), is a common landmark along the Norwegian coast. 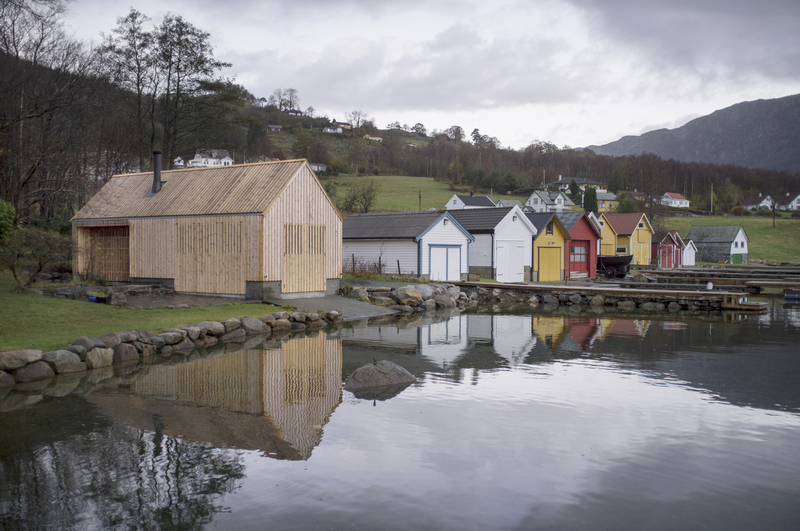 Traditionally built as a place for storage of boats and fishing equipment, the naust used to be functional buildings with simple materials. 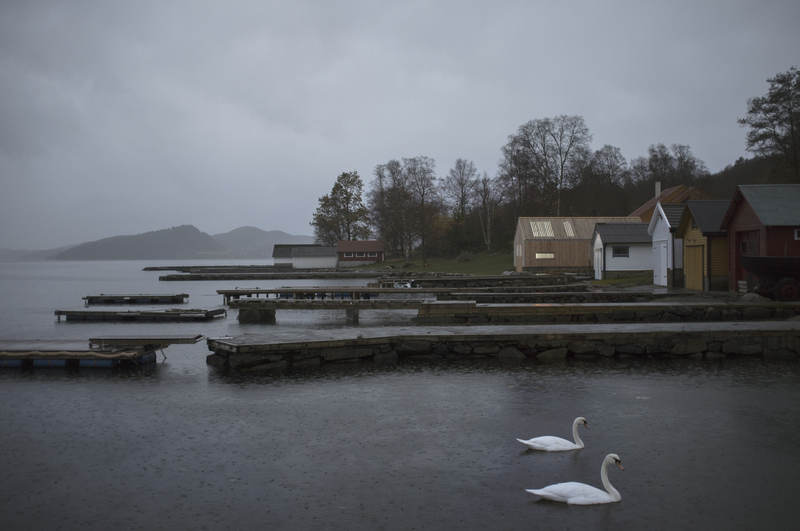 Today, as dependance on the sea and fishing industry is declining, many of them are being transformed for leisure purposes. As the Norwegian coastline is considered common property, regulations are very conservative regarding size, use and appearance. 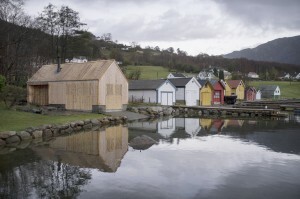 Hence, the dichotomy between the regulations and new Norwegian leisure culture forces an old typology to take a new form. 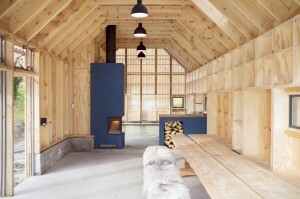 At the back of the naust, one step above the ground floor, lies a stone terrace surrounded by a small forest. The new naust is extended backwards to include this terrace into a new winter garden. 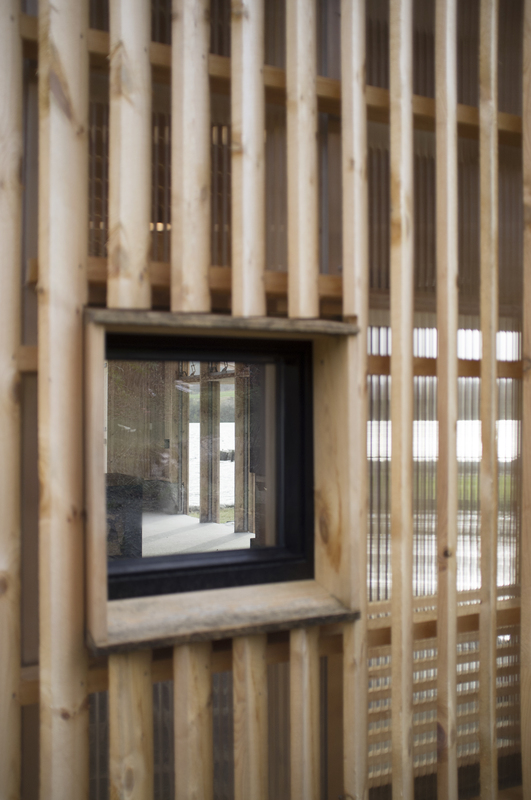 This part is covered by angled wood cladding, which makes it both opaque and transparent. In the transition a kitchen and a fireplace is introduced as a central gathering space. Sitting alcoves and shelves are integrated in two of the walls, providing a flexible floor area. 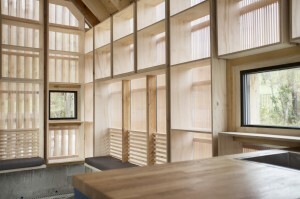 A big opening in the western wall creates a transition between the interior and stone terrace on the west side. In the eastern wall, a horisontal window offers a glimpse of the village and the surrounding mountains. 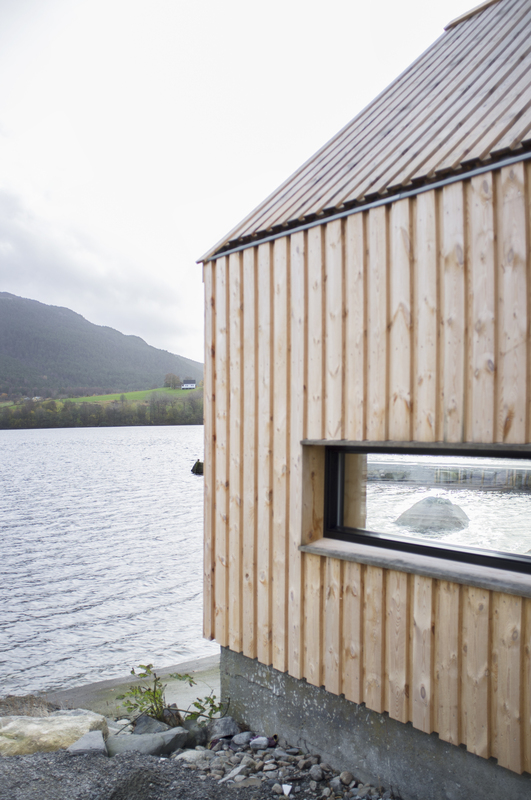 At daytime the naust is subordinated to the local traditions at distance, whilst unveiling unexpected qualities when given a closer look. 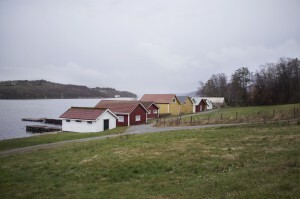 All photos by Mattias Josefsson.